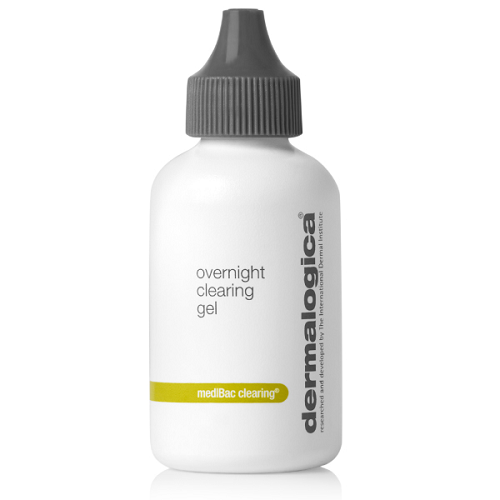 An overnight treatment designed to help clear skin congestion and help prevent future breakouts. A Vitamin B complex of Niacinamide and Biotin combined with Zinc Gluconate, Yeast Extract, Caffeine and Nordihydroguaiaretic Acid soothes irritation, inhibits overactive sebaceous gland activity and purifies. Rosemary and Spiraea extracts inhibit the growth of acnegenic bacteria while stimulating the skins natural antimicrobial agents for clearer, healthier skin. Salicylic Acid sloughs off pore-clogging skin cells to inhibit development of further breakouts, while naturally-antiseptic Tea Tree Oil assists in skin-healing. Contains no artificial fragrance or color. This product is great! If you even start to feel your skin breaking out when applied at night in the am it has worked at stopping it from going any further. I have gotten my 26 yr old daughter to use it and she thinks it is great and works just that fast. Dermalogica has come out once again with a great product. Not only is this effective in keeping acne at bay but it does not dry your skin out thanks to the Hyaluronic Acid. This has excellent ingredients for anyone who is tired of break outs and wants something that actually works. At 52, I want results. You put this on at night, in the morning your skin is thanking you and is markedly clearer. I'll use the Daily Microfoliant in the a.m. and the result is wonderful. Try it. This product is amazing! my skin is clearer that ever. The longer I use it the less breakouts I have. Everything else I've tried has been a complete failure compared to this product. Even prescriptions can't match it! It's wonderful to wake up to calm, clear skin. It even work wonders on those outbreaks that are already there! Thank YOU Dermalogica! 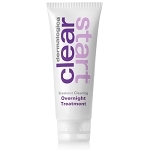 Thia product works great, it really help clear up my skin overnight without over-drying it. Salicylic Acid:stimulates natural exfoliation, helping to clear impacted follicles and minimize acne formation. Niacinamide, Biotin, Zinc Gluconate, Yeast Extract, Caffeine and Nordihydroguaiaretic Acid: unique blend inhibits overactive sebaceous gland activity, purifies to promote skin clarity and helps calm irritation brought on by breakouts. Melaleuca Alternifolia (Tea Tree) Leaf: A natural antiseptic that helps inhibit bacteria while stimulating skins natural anti-bacterial agents. Also aids in skin healing and soothing skin. Spiraea Ulmaria: an extract that helps inhibit bacteria by stimulating the skins natural anti-bacterial agents. Camellia Oleifera (Green Tea) Leaf: helps soothe irritation. Hyaluronic Acid: provides increased hydration and improved elasticity.